If we've seen any chain on this blog a lot, it's the home depot. I secretly suspect I'm a part of their marketing strategy. If only you could be certain when to find them open! Thanks, Mylynka. It is a new movie. The full 16 hour uncut version airs Monday through Saturday and the editted 12 hour version airs on Sunday. 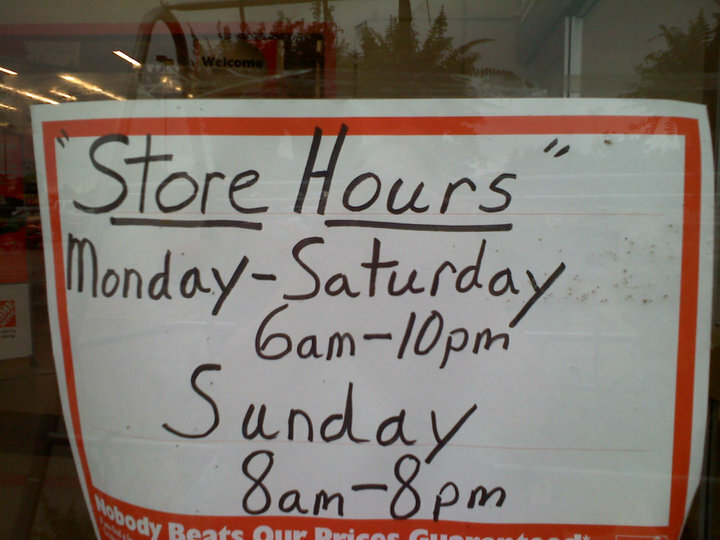 Technically correct, as the store is THERE 24/7 but you can only get in during certain times. WV: sparnu, what Annie Oakley would do if you crossed her.